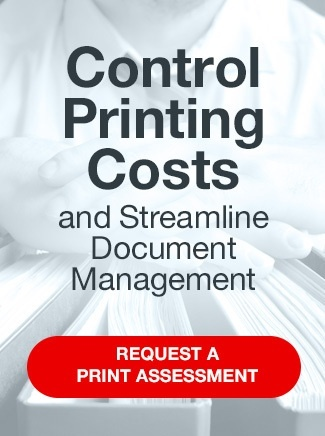 Are you sick of your printers and copiers breaking down? Do your documents come out with streaks and faded print? Are they lacking features like energy efficiency and touchscreen control panels? Would you like to try an all-in-one or multifunction printer, but you can’t justify the cost? With SymQuest’s printer and copier rental program, you enjoy the benefits of state-of-the-art office equipment without the long-term commitment of leasing or the large capital outlay of purchasing. Try our copiers, printers, multifunction printers, scanners, and fax machines for an affordable price and with minimal commitment. Whether you need one machine or a fleet, SymQuest’s printer and copier rental program could be your solution. If you need up-to-date printing, copying, faxing, or scanning equipment, consider SymQuest’s rental programs. With flexibility, affordability, and service and performance guarantees built-in to each agreement, rental programs let businesses control their budget while enjoying the latest in efficient and environmentally friendly technology.